Nice to meet you, I’m Mark Wiens. 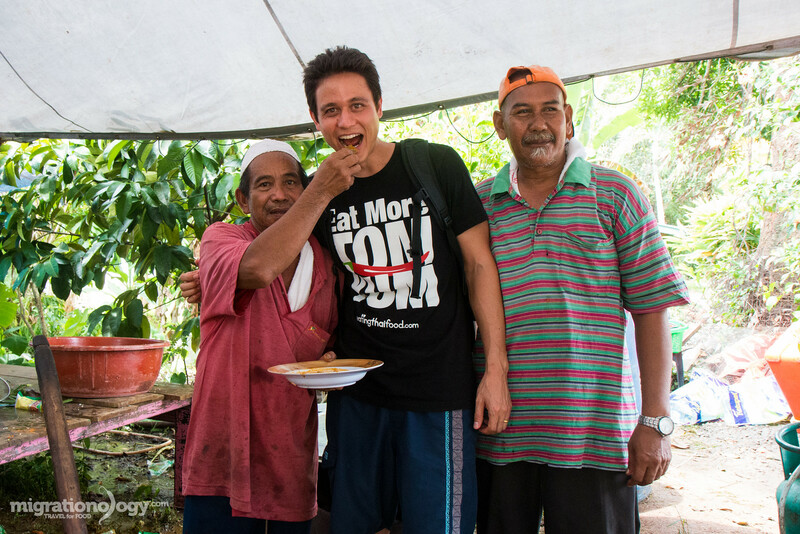 I believe when you travel, there’s no better way to connect with people, than through food. No matter what culture or country you’re from, or wherever you choose to travel, the one thing you and I have in common is that food is a huge part of our lives. Migrationology.com is where people who travel for food learn about authentic local food from around the world (or at least from the destinations I’ve personally visited – I keep this blog very personal). He fed me a piece of buffalo curry! I’ve covered the definition of Migrationology much more on the Start Here page (I’d encourage you to check it out if you haven’t already). But in short, Migrationology is about doing something you’re passionate about, and learning and growing in that passion. For myself, and I think for you too, food and travel is that passion (and that’s what this blog is all about). Along with delicious and authentic food and restaurant recommendations, my goal is also to inspire you to get out of your comfort zone, set goals, and pursue what you’re most passionate about. 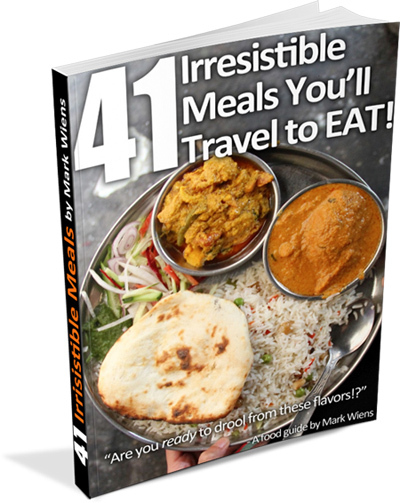 Join 49,000+ other travel food lovers! I would like to invite you to join my e-mail newsletter where I’ll send you my free street food guide, and you’ll be signed up to get occasional e-mails where I share my best food and travel tips with you. Nice to meet you, my name is Mark Wiens. 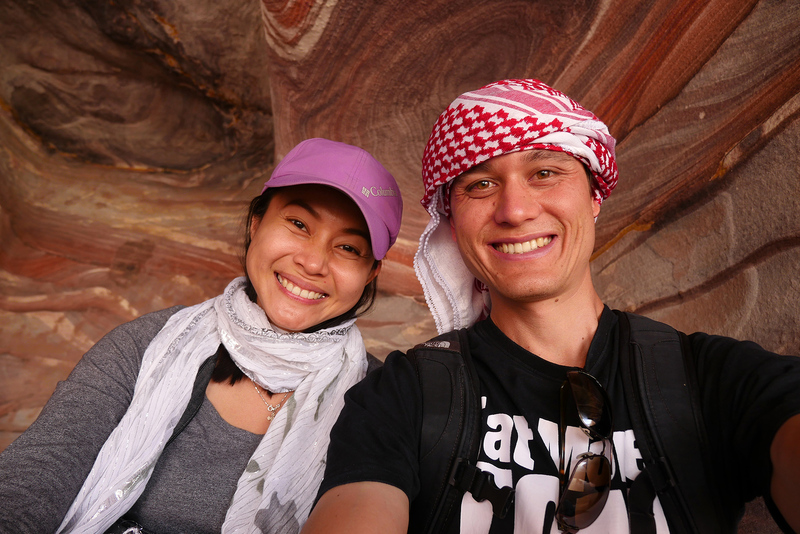 I’m a full time travel eater, and along with my wife, I’m based in Bangkok, but we travel frequently. Along with eating, I also like to blog, make videos about local food, and I earn a living from ads on videos, and selling eBooks and t-shirts. Check out my latest food adventures on Facebook and Instagram. I eat, blog, and make videos. First off, I’m a Christian and give God the glory in everything I do. My parents, both of whom also really enjoy food, are the ones responsible for my love for food. I was born in Phoenix, Arizona, attended my first year of school in the tiny town of Albertville, France, was home-schooled for 3 years in the jungle of the Democratic Republic of Congo, and attended a Christian international school (Rosslyn Academy) in Nairobi, Kenya for 8 years. After high school, I returned to the US, attended Arizona State University, and graduated in 2008 with a bachelors degree in Global Studies. During university my hunger to learn more about the world and eat more delicious food grew. In 2008, right after graduating, I set off to travel through South America on a solo trip with few plans. I ended up taking a TESOL certificate course to teach English, and hiking through the mountains of Patagonia. A few months later I returned to the US to attend my sisters wedding. It was during that time, back in early 2009 when I decided to start a blog. With the help of about 10 cups of coffee per day, Migrationology.com was born. I still wasn’t ready to get a job and stay put, so I caught a one way ticket to Bangkok, with no plans other than to eat as much as I could. After traveling around Southeast Asia for about 6 months, I managed to spend nearly all my money. I was in the Philippines at that time, and I caught a flight from Manila to Bangkok. At this point, I decided to get a job teaching English, and it didn’t take long before I signed a contract to teach English for a year. However, English teaching was not for me (it was a great experience, but teaching English is just not my passion). But when you have a goal you’re working towards, you’ll do what it takes to get there. In Thailand I met Ying, the most amazing girl in the world. We got married in July 2013, and we’ve been traveling and eating together ever since. 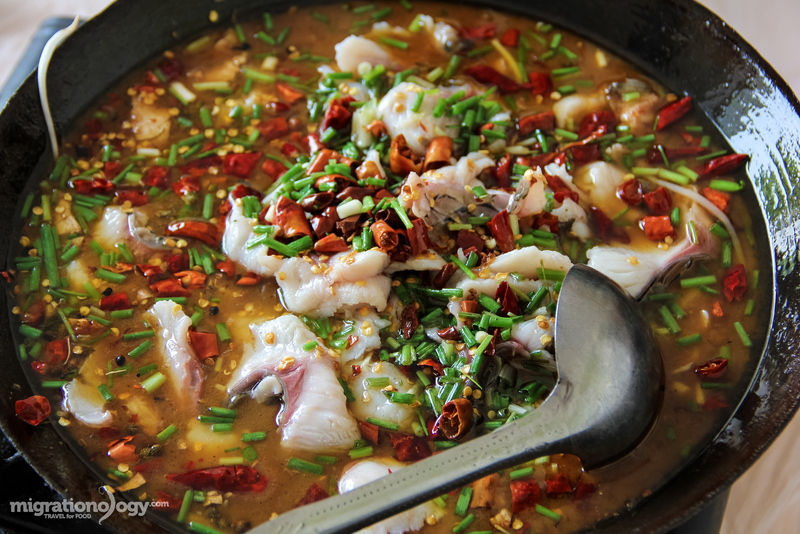 My wife Ying and I are based in Bangkok, but we frequently travel for delicious food. We strive to provide authentic food and travel information, through blogs and videos, and to also connect with people through the food we eat. That’s how I met you! If you’re new to Migrationology and haven’t yet read through the Start Here Page, that’s the best place to get started. Otherwise, head over to the blog or check out my specific city travel food guides.